Background Respiratory medications are frequently prescribed for use in children. Several studies have reported information on the safety of asthma medications in clinical studies in adults, but information about safety in children is scarce. 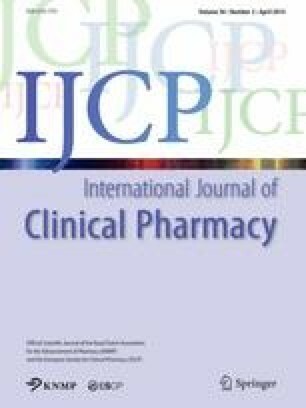 Objective To review published clinical trials on the occurrence and characteristics of adverse drug reactions (ADRs) in children, reported for asthma medications licensed for paediatric use. Methods We systematically reviewed the literature following the Preferred Reporting Items for Systematic Reviews and Meta-Analyses statement guidelines. PubMed, Embase, Cochrane Library, PsycINFO, IPA, and CINAHLs databases were searched from origin until July 2013 for studies reporting ADRs for beta2-receptor agonists, inhaled corticosteroids, leukotriene receptor antagonists and combination products in children from birth to age 17. Information on ADR reporting rates, age and gender, type and seriousness of ADRs, design, setting, observation period, type of assessors, and funding sources was extracted from the articles. Results Literature searches resulted in 162 potential relevant articles. However only 12 of these studies were included in this review as they reported information about ADR rates from use of salmeterol, formoterol, fluticasone, montelukast, zafirlukast and budesonide/formoterol in children. The total population was approximately 3,000 children; the majority was 6- to 11-year-olds and two thirds of these were boys. The observation period varied from 1 to 22 months. The most frequently reported ADRs were exacerbation of asthma, respiratory tract infection, cough, fever and headache. Only few ADRs were rated as being serious, however a number of children dropped out of the clinical trials due to serious ADRs, and, therefore, the real number of serious ADRs is probably higher. Conclusions Few clinical trials reporting ADRs from use of asthma medications in children were identified in the literature. These studies reported only a few types of ADRs, the majority being non-serious. The online version of this article (doi: 10.1007/s11096-014-9924-y) contains supplementary material, which is available to authorized users. We thank Dr. T.W. de Vries, Paediatric Department, Medisch Centrum Leeuwarden, Netherlands, for commenting on previous drafts of this manuscript. We also thank MSc (pharm) Malene Hammer Krag for assistance with quality assurance of data extractions. Furthermore we also thank the information specialists at the National Library of Denmark and Copenhagen University Library for assistance with the literature searches. Beasley R, Holt S, Fabian D, Masoli M. Global burden of asthma. Global initiative for asthma (GINA). www.ginasthma.org/. Last accessed 4 July 2013. National Heart Lung and Blood Institute. Guidelines for the Diagnosis and Management of Asthma (EPR-3). http://www.nhlbi.nih.gov/guidelines/asthma/asthgdln.htm. Last accessed 4 July 2013.